about a crashed hard drive as they are mirrored. After finishing my workstation build with Two Quadcore 3.40 processors with 32gb ram. space but the system is staggeringly fast and drives are mirrored. My next build will be a Raid 10 gaming system. Do you have a project build ? Loin, why did you not opt for RAID 1 SSD? That’s currently my preferred setup for my systems. I want a demonic machine that’s liquid cooled with virgin blood and powered by widow’s tears. I am working on a potato powered computer. both types. After picking up twenty 250gb drives last year it was a chance to stick some in a project tbh. Once you master the art you can infact transpose that in to valued knowledge esp in the business IT world. project build converted into a midi computer, perhaps you have stuff lying around which could be your project. price, I noted it only needed one power lead, I will clear my project build of dust and try gaming on it in the week. Raid 10 gaming is rumoured to have very fast speeds . pasted some info below. People don’t understand what RAID settings are, they just read a little bit and think they know it and when something goes wrong they blame hardware rather than themselves for not doing it right. RAID 0 stores data on all 3 drives, but in pieces, one drive will get 1/3 of the data, so will the 2nd and 3rd drive… not one drive contains 100% of a file. So when you access a file it has to access all 3 drives simultaneously which means all drives speeds are added. 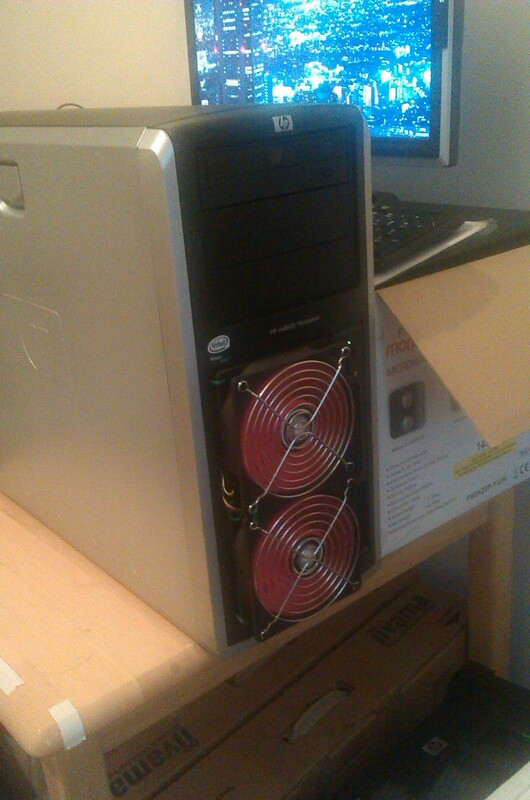 Bearing in mind my project build a while ago infact has 6 drives running windows 8.1 pro 64bit, raid 10 with 32gb ram. lets not forget the system also has Two Quadcore x5492’s at 3.40 making it an eight core system. Yeah I get that, and HDD wise I think you’re right. What I’ve learn about SSD’s is that performance from RAID 0 on a SSD is very minimal due how SSD’s aren’t mechanical. I think the best options with SSD’s are instead of buying those 2 extra SSD’s just get ones with better Read/Write speeds and RAID 1 it. Though personally I don’t have my gaming SSD’s in raid. They only hold my downloaded games and aren’t a big loss if I lose them. as the ram cage is on the way. 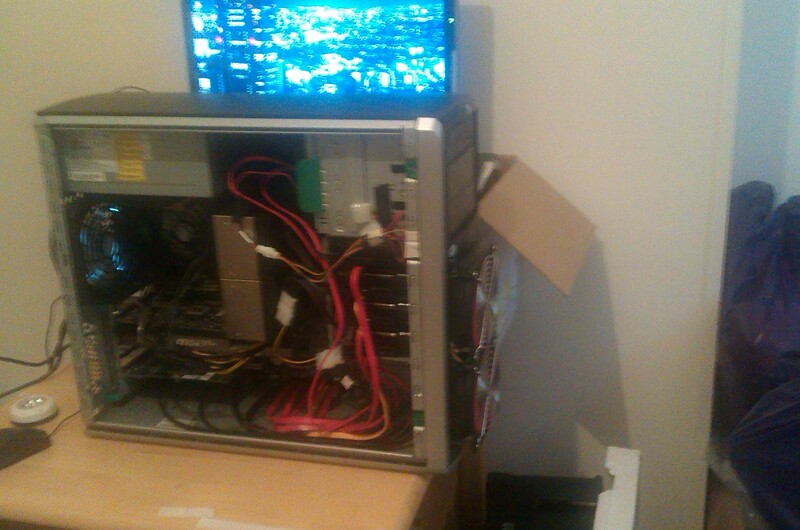 This rig could most likely run an awesome Chivalry server when if I set one up. by next year its planned to be a 128gb ram system plus titan X and just one SSD drive finally. Purely for Chivalry tbh. lastly I have a quad intel port with 4 more ethernet inputs. Maybe you should invest a bit in a bigger desk. And I have tons of those silver clicky light thingys lol. That is the back room were I photo computers or pc parts to list on ebay tbh. In the other room my desk is double length. Talking of techy fun. I am in the process of making a vhdx drive from windows 8.1, very useful feature this. to use in other computers ( assuming you have many like some hobbyist gamers do ). This weeks project is being built at the weekend. 4790 Cpu not the k version to lazy to oc. 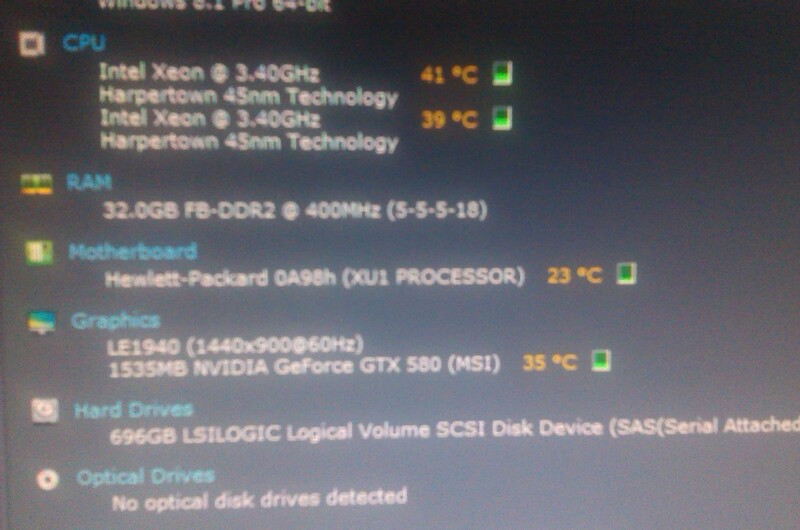 I have 2 gtx 580’s idling about plus the gtx 960 superclocked thing. the Titan X, both are rapidly dropping prices. Undecided for case so might stick it in an old mesh pc case as lazy for now. Most likely buy a w7 pro cheaply to upgrade to w10 as its cheaper on that route. Lastly I have a spare 240gb ssd drive I could use as the image backup and hide it in case. GTX 980Ti is where it’s at. Near Titan X performance for like 66% of the price. Can’t boot off a PCI-e SSD with my old motherboard. Next upgrade cycle for sure though.